Last weekend we put our tea and herbs-blogs into practice: we went to Madnes festival with the Lucky People Center and shared fresh tea with the festival people. 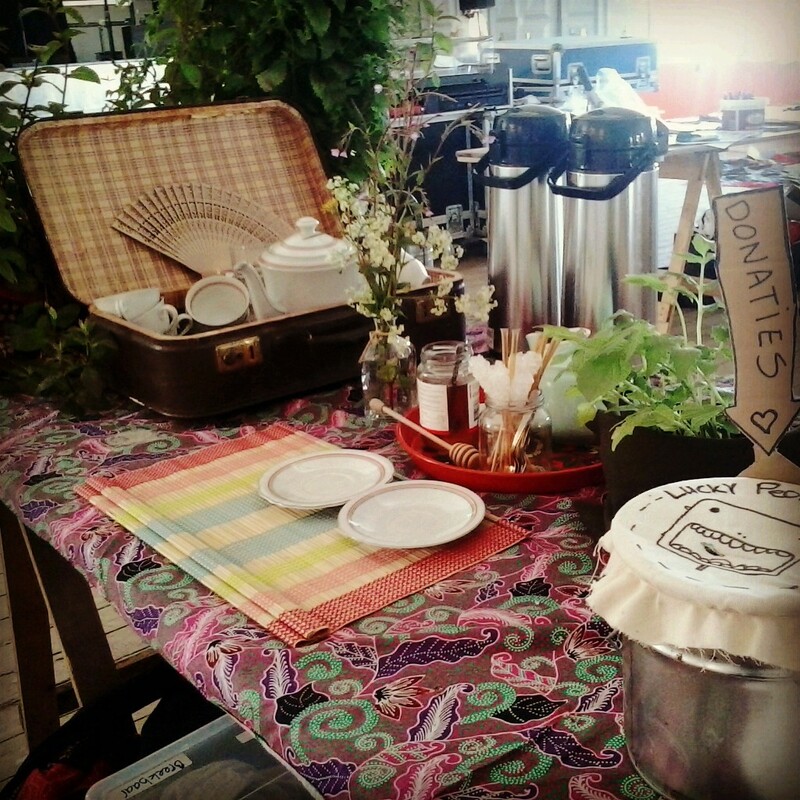 We brought herbs from our garden, picked flowers around the festival and filled the table with vintage teapots and -cups. The visitors could choose between two teas: an anti-hangover tea (appropriate for this festival) with lemon balm to calm the head and body, ginger against nausea and mint against bad drinking breath and stomach problems. The other tea consisted of cinnamon, cloves and fennel, for a happy tummy and good digestive. It was great to share our knowledge, meet interested people and to make everyone feel relaxed and happy. Sure to be continued!